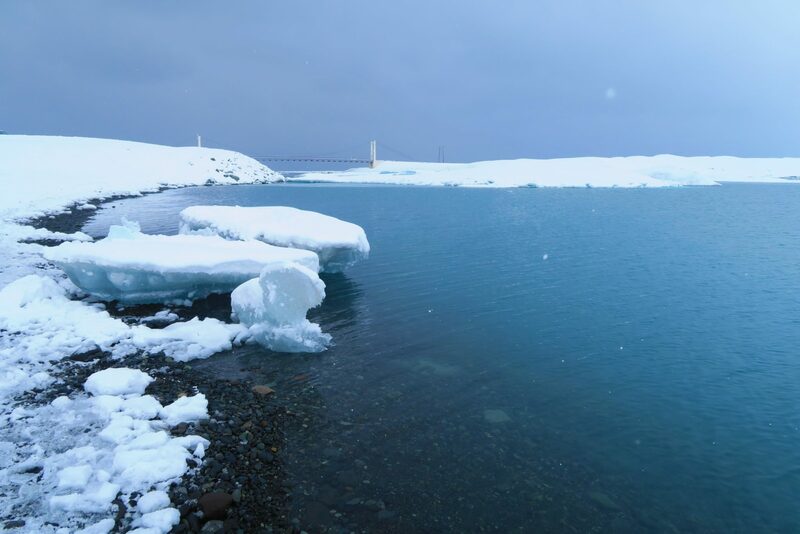 The morning after our visit to the lagoon, just like the weather predicted, snow descended upon us and our days of sunny blue skies disappeared. But then it was also the day we had planned to drive all the way back to Reykjavik. So, in a way, it kind of worked out for us. Hali Country Hotel where we stayed. They love their books. 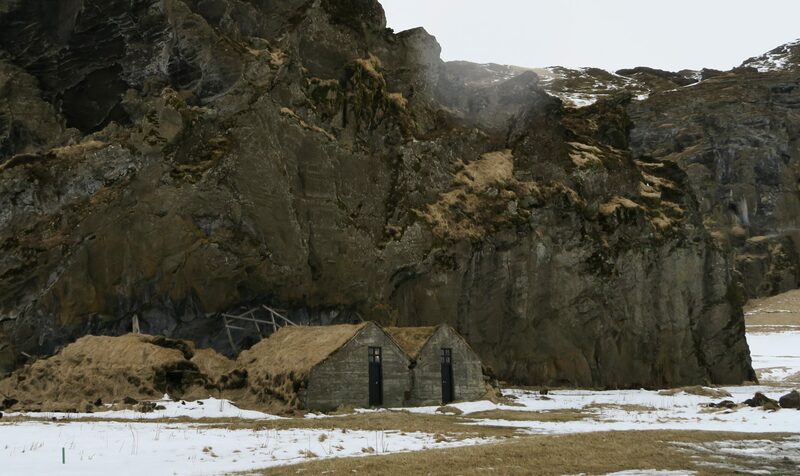 Not surprising as Iceland has more books read and published per person than anywhere else in the world. It finally snowed and there was lots of it. It was still coming down as we left Hali that morning. As it was going to be a long drive, we made sure we gave ourselves plenty of time. 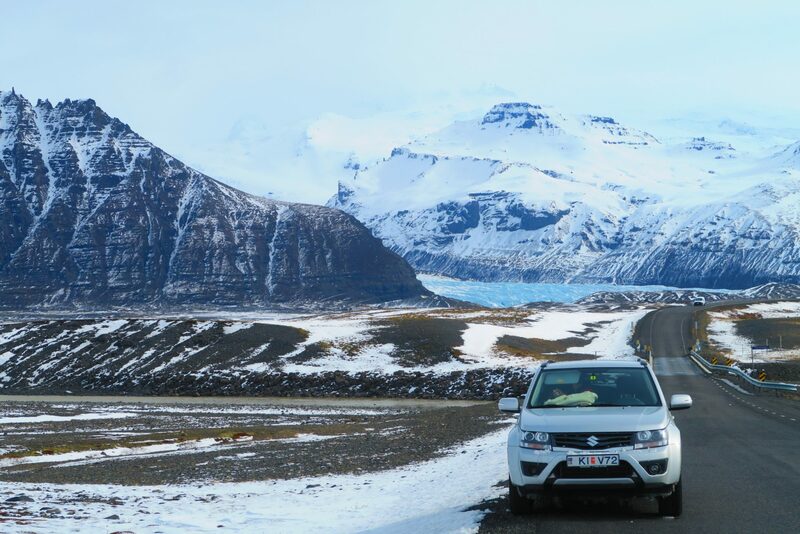 Even then, we could not help but stopped by Jökulsárlón Glacier Lagoon one more time. Surprisingly there was a lot of people there and car parks were hard to find. Maybe everyone had the same idea? As we got out of our cars, we noticed how different the lagoon looked this morning compared to the day before! The overcast conditions made everything looked so much more stark and cold. Despite this, we still walked around a bit and spent some time there taking photos. 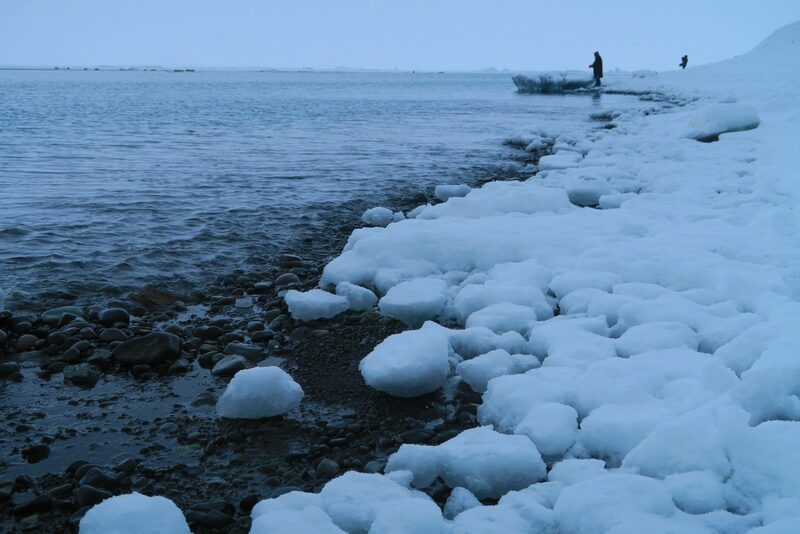 We figured this must be what it is like if we had come deep in winter! 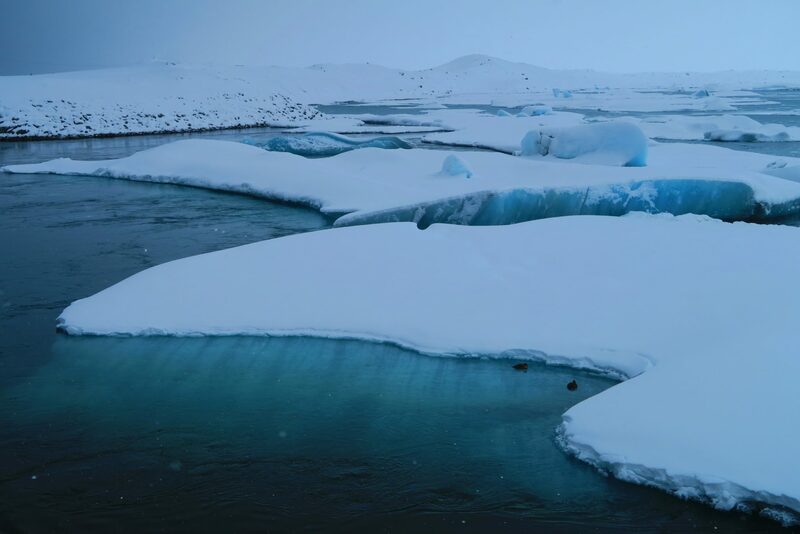 Can you believe there are ducks between the icebergs! 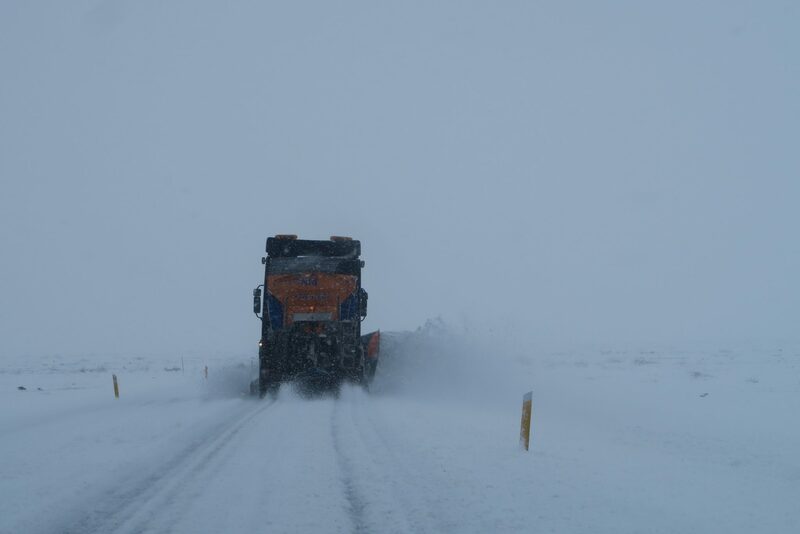 The drive back to Reykjavik was thankfully straightforward and uneventful. However, the snow overnight had obviously caused havoc as some sections of the snow was pretty heavy. Once again, we were just pleased we got steel studded tyres with us. And of course, we eventually met up with a snow plow truck which we were quite happy to follow behind. I doubt we could have driven any quicker with all that snow on the road! However, not all sections of the ring road was like that and most of them were actually clear. And during those sections, we still made regular stops to take our snaps. It seems there is always something to catch your eye! And after about 6 hours with plenty of rest stops in between (including lunch in Vik), we made it back to Reykjavik in one piece! 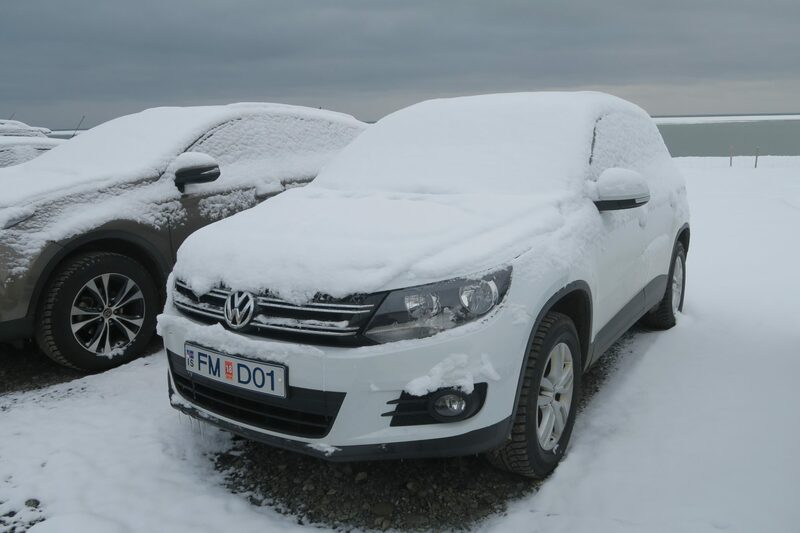 I thoroughly enjoyed your drive in Iceland without getting the least big cold myself. That bookish hotel takes the cake! I had no idea Iceland was so heavily weighted with books. Thank you for your nice words. 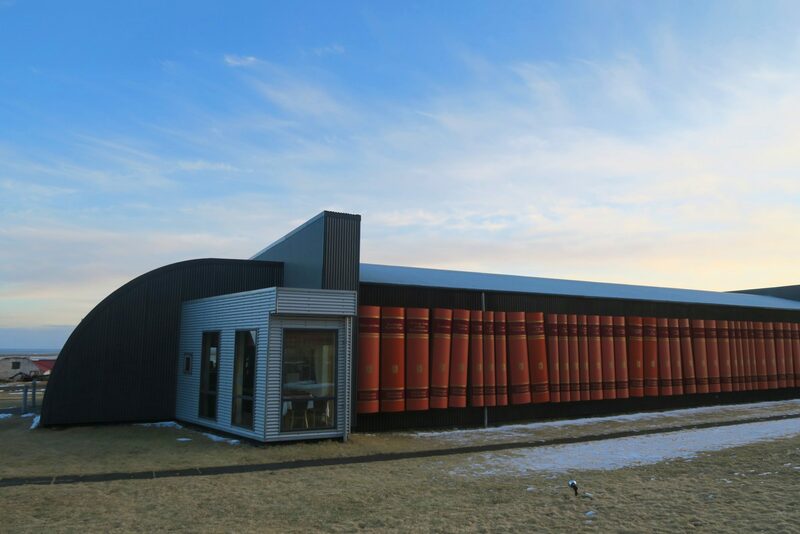 Books are huge in Iceland. Christmas is the peak time and they call it jólabókaflóð(or Christmas Book Flood) as the favourite gifts are books! I read that one year alone, publishers came close to publishing a hundred cook books!! Who would’ve thought that there are that many Icelandic recipes!